Hospitality is a manic industry. Waiters are flitting from table to table, bartenders are throwing together mojitos, and there’s always that one ‘difficult’ customer. Electronic Point of Sale Systems won’t make that customer any easier to deal with. But they will make life simpler for you and your staff, and help you ensure your guests leave with a smile on their face. The best EPOS systems for your hospitality business don’t just let you take payments. They empower you to better manage your tables and reservations. They mobilise your staff, streamline your processes during service, and result in immaculate experiences for your guests. This means five star reviews and returning customers. The point of sale solutions below aren’t just here to make up the numbers – they’re the most efficient hospitality EPOS systems on the market. They’re tailor-made to your industry and prepared for the unique challenges your business faces. Best of all, they let you and your staff deal with anything the evening’s service throws at you. Whether it’s splitting a bill, reeling off the specials, or satisfying ‘that’ customer, these solutions have you covered. Read on to find out what these can bring to the table for your business. Or pop some details into our short form to start comparing quotes today. We compared the top EPOS systems in the UK for hospitality businesses. We looked at value, features, and the unique benefits they can afford your bar, cafe, hotel, or restaurant. The suppliers that made the cut were EPOS Now, TouchBistro, Worldpay, iZettle, and Hotel Perfect. The UK’s largest EPOS provider comes with a proven track record of success in the hospitality industry. Its portable tills mean your staff aren’t flitting back and forth between fixed terminals. Staff have instant access to the daily specials and always know if ingredients are missing, meaning instant answers to customer questions and more satisfied cafe-goers. EPOS Now offers a POS solution that thinks on its feet – just like your staff. Its software is adaptable and cuts through the hassle of table management. This frees up your team to connect with customers and keep creating exceptional experiences. And its strengths stretch way beyond the day’s service. EPOS Now lets you manage your cafe’s stock, and have all your business’ need-to-know info at your fingertips. And with remote functions like sales, account and employee reporting, it’s one of the most complete EPOS solutions on the market. EPOS Now’s point of sale system for hospitality will set you back £1,199 (VAT exclusive). Or you can pay a monthly fee of £47. There are no hidden costs and everything’s included. TouchBistro provides an award-winning EPOS solution designed by restaurant people, for restaurant people. Powering eateries in over 100 countries around the world, it’s loaded with smart features. TouchBistro equips your staff with the tools to upsell and take orders faster, without having to leave the floor. And its in-built CRM feature lets you drive repeat business through rewarding your most loyal customers. TouchBistro equips your waiters with ingredient lists and allergy info on the go, so they’re ready to deal with even the most testing customer questions. Meanwhile, you’ll have your finger on the pulse with TouchBistro’s intuitive analytics features, making effective management of your bistro’s staff and stock just a touch of a button away. And it’s not just in the restaurant business that TouchBistro’s dynamic EPOS solution is making waves: it’s developed EPOS systems for breweries, food trucks, pubs and nightclubs, too. TouchBistro offers a range of plans with differing monthly fees. If you’re a smaller restaurant looking for one license, then their ‘Solo’ plan at £59/month will suit you well. For additional licenses, you’ll pay £40 – £50 each, depending on the amount of licences. If you want some more info, why not fill out our form? It’s the quickest way to start comparing quotes and find an EPOS tailor-made to your restaurant. With over 300,000 small business clients and more than 30 years of experience, Worldpay knows what it’s doing. And its POS solution is handmade for the frenzied pace of the hospitality industry. Worldpay Hub’s sleek design and compact size make it perfect for pop-up bars or eateries operating in a small space. Bluetooth connection means you’re not reliant on wifi. And its tablet boasts up to eight hours of battery life, perfect for serving outside and on the go. Worldpay Hub’s EPOS package includes a tablet, a card machine, and a cash register with a built in receipt printer. Do you sell a range of food and drink with a big variation in prices? Add a barcode scanner to catalogue items and speed up service – perfect if you’re running a convenience store. This feature also lets you track sales and keep tabs on your inventory. Prices start from £50/month and include setup, although you also would be eligible for a £250 upfront fee. Alternatively, you can pay £65/month with no setup fee. The scanner is not included in the package, but is available for £99.50 plus VAT. Transaction charges apply – read the small print! Looking to slim down and streamline the cash handling at your bar or nightclub? 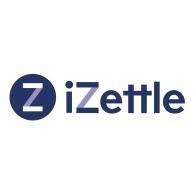 iZettle provides a smooth, simplified system that connects with your iPad to cut costs. Download the app, connect it to the card reader, and start making money. iZettle works without internet, letting the night’s service flow without disruption. The card reader takes payments in seconds, speeding up service and freeing up your bartenders to engage with customers and mix delicious drinks. iZettle’s speed makes it great for the fast-paced, energetic life of your bar or nightclub. But its table management features also make it a clever, cut-price solution for a smaller cafe or restaurant. In addition to a range of back office features, it integrates with big brands like Xero and Planday, so you can stay on top of the books and better understand what makes your bar tick. The iZettle Pro card reader is available for £39/month. You’ll also pay 1.25% of each transaction that goes through the card reader. To expand your kit into a more fully formed hospitality EPOS system, you’ll be best off going for the iZettle Store Kit. Priced at £899 (currently reduced to £818), it includes a card reader and dock, plus a stand for your tablet. There’s also a cash drawer, receipt printer, and some rolls to get you started. Hotel Perfect is an aptly-named EPOS solution designed with the specific needs of hoteliers in mind. It goes a long way to closing the gap between your hotel’s bar and reception. And its waiter pads mobilise your team so they can serve with speed and style. Charge bills to rooms and automate discounts for promotions and happy hour. It won’t just be your guests who benefit – this EPOS system makes for happier waiters, receptionists and managers, too. Hotel Perfect’s people-focussed EPOS also lets you set up discounts for staff and regular customers. Plus it comes with a loyalty card system where frequent stayers can accrue and spend points. Put simply, if you’re in the hotel trade, this EPOS system is perfect for you. Pricing information for Hotel Perfect’s hospitality EPOS system is available on request. Calling IIKO an Epos system is a bit like calling a computer a calculator with more buttons. Yes, the till features let you process payments with ease; but it does so much more. Iiko helps your staff run ship efficiently, while a raft of reporting tools assist with your back-of-house admin. It’s a win-win. Run a sit-down establishment? IIKO can digitise your floor plan and suggest ways to utilise the available floor space. Need fast food delivering? The system lets you schedule and coordinate deliveries with your drivers in real time. Ingredients running low? IIKO’s inventory tracking system is a step ahead, and it’ll warn you before problems arise. Multi-store management capabilities are one of IIKO’s biggest selling points. For small businesses with grand expansion plans, IIKO is a truly future-proof POS solution. IIKO’s starting ‘Accelerate’ plan costs £39/mo, which includes 24/7 online support and initial setup advice from the team. If you’ve got more than one store to manage, you’ll want to go for their ‘Grow’ plan at £49/mo. And for sprawling multi-location operations, it’s best to request a bespoke quote for the chance to get an even better deal. Choosing an EPOS system for your hospitality business doesn’t have to be a chore. Each system listed here is raising the ‘bar’ in its own way – whether it’s iZettle for simplicity or Worldpay Hub for style. TouchBistro is reinventing the way hospitality takes payments, with solutions for pubs, breweries and food trucks. And if you’re in the cafe business, EPOS Now is a quick-thinking solution that makes your life easier. So what next? For more detailed pricing info, you can click here for tailored EPOS quotes from Expert Market-approved suppliers. Or read on for our expert tips on choosing the supplier for you. When using our form to compare quotes and choose the EPOS supplier for you, there’s a few things you’ll need to keep in mind. Luckily, there’s a salty, delicious acronym to help you remember what your EPOS solution needs to provide. An effective EPOS system doesn’t have to break the bank. Higher prices don’t always mean higher quality. As well as being affordable, an EPOS solution should save you money in the long run through increasing productivity. EPOS Now’s system claims to offer savings of 10% just for reducing losses due to human error. When you start streamlining your processes, the savings follow naturally. Service doesn’t just stop randomly, and your EPOS system can’t afford to either! Don’t get floored by sudden loss of internet connectivity or battery, and make sure your EPOS is immune to crashes or freezes. You’re a customer-facing business. So you’ll want a POS system that doesn’t look out of place and lends a pleasant aesthetic to your bar area. Worldpay Hub offers a POS system with clean lines and a striking, ‘less is more’ look. The old adage ‘time is money’ fits the hospitality industry like a glove. Wait time for food or drink is almost always the difference between a five star review and an angry customer. A good POS system lets your staff serve and turn over tables quicker, meaning bigger bills and more satisfied customers. A POS system equips your staff with portable technology, so there’s no flitting back and forth between tables and static terminals. Exude professionalism and never miss an order with a sleek, mobile EPOS solution. The best POS systems don’t just help you sell – they’ll make sure your staff are actively up-selling. Whether it’s a round of coffees with dessert or an extra side of fries, a good POS delivers value, even on the little things. Do you accept payments for goods and services on a daily basis? Well, you need an EPOS (Electronic Point of Sale) system. Not only can you accept credit card and contactless payments, you get accurate data relating to your staff and stock. The term refers to both the hardware components involved (like the card reader and cash drawer) and the software that runs on it. How much will an EPOS system cost my business? The price of hospitality EPOS systems varies, but will depend on the size of your business. Most EPOS systems are highly scalable, and let you purchase multiple licenses to operate across several restaurants. Some suppliers ask for a larger one-off payment, while others request a monthly fee. Certain ones charge transaction fees, too. Our form lets you compare quotes and takes the stress out of your choice. Try it here. What else do I need to take card payments? On top of your EPOS system, your hospitality business will need a merchant account to accept card payments. Sound exasperating? The good news is that having a merchant account also lets you accept payments online, which is great if you deliver. The even better news is that we can help you choose the best merchant account provider for you, to go with that brand new EPOS system.